There are several different protagonists to this story, led by Marco Cabassi who hosted us in the factories belonging to his group, the Bastogi SPA. In front of this backdrop, there was vitality and concreteness, against the nihilism of those who will always say that it is not worth it, a profound ethics and a harmony of kairos, understood as the relationship between external and internal time. We were immersed in a context of the greater EoC. The "C" that stands for Communion. But also for Community. Beyond the definitions, one breathed a living economy that counts and puts the person at the centre and improves the system. 28 hours of which not an instant went wasted, there was no empty space: so much was given and received, the escorts, with their sublime and almost paternal style, amazed us and each one of us left for home with an interior charge that leaves no room for fear and apathy, and with an input that echoes inside: if you really want to, you can fly; what you give will return to you; small projects, provided they are done well, can conquer great peaks; whether something turns out well or not, what’s important is the intention - provided it is right and refined - and with whom you walk. To open the meeting, we got to know the qualitative excellence of Panino Giusto (“The Right Kind of Bread Roll” – the tr.) that, as a partner of the Accademia del Panino Italiano (Italian Bread Roll Academy – the tr.) and of the Cucinare per Ricominciare (“Cooking to Start Over” – the tr.) project, plays an active role in the integration of young refugees in a healthy working environment, inserting them in the catering chain after careful selection and training. This project still runs with limited numbers, however, it’s a great example of how small but perfectly done things are worth a lot. Moving on to the Forum of Assago, in addition to providing a surreal framework for our reflections on the path, narrative capital and concrete developments of the youth section, along with Luigino Bruni and Rebeca Gomez’ ideas, welcomed the precious intervention of a guest of honour, Luciana Delle Donne, a successful former banker who has overturned her existence by abandoning the financial world and dedicating herself to a project of a great social and environmental benefit: Made in Carcere.This is an extreme and impossible looking economic experience, but it is successful today in giving a second chance of value and dignity to women in prison, through the processing of fabrics, to which a second life is given here, too. A culture of waste that takes revenge. Work done on the error, on “pieces that turned out bad" - but which are redeemed. A self-recovery. We continue with the work and in the meantime we get to know some of the many faces coexisting in the Forum, working in a perfect union between efficiency and relational goods. Then, at dinner, the real Agape, an intense time of sharing. We are in Trezzano sul Naviglio,on the outskirts of Milan, at Ri-Maflow, where workers living from one day to the next without income and artists rebelling against an art that’s only for noble audiences contrast the system, re-qualifying the suburbs: the workers, in the wake of a post-crisis Argentinean tradition, reclaimed the warehouse abandoned by the company that had left them at home and, in the name of dignity and guaranteed work, they now manage and operate it on their own, taking care of maintenance activities, services and cooperation with other small artisans who establish themselves in the factory. Artists bring a wider public closer to art also through a photographic work in progress that, at the suggestion of Bert Theis, documents the evolution of use of the environments regained in Ri-Maflow. The logic is that work only functions if other people get involved and are able to benefit from it. Having dinner with the actors of this "economy of resistance" was priceless and it was great to let ourselves be contaminated by their enthusiasm, which, in spite of the many efforts, makes all their actions worthy and valuable. Then, entering the Frigoriferi Milanesi, (Milanese Cold Store – the tr. ), a historical industrial complex of the city, we could touch with our hands what it means to be able to react, by welcoming and preserving the patrimony of the fathers, but adapting it with great creativity to current contexts so as not to lose efficiency and added value. This is how the ice palace (where generations of Milanese went skating before the public rinks were opened) and other complexes born in the early 1900s for the cold storage of food stocks have been converted into multifunctional spaces, that are aesthetically very well maintained, unique of their kind. 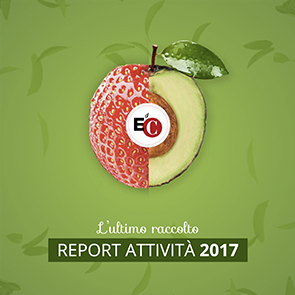 Generating a beautiful and clean economy of integration, today they host various events, exhibitions, fairs, literary festivals and offices of companies that are active in the cultural and artistic fields, or in food, ecology and psychology, all filtered according to healthy principles of social and environmental impact. The professional and volcanic presence of Professor Elena Granata, has enriched the day even more with some strong stimuli. Having experienced this full immersion of creativity and civilizing power of the economic act, we greeted each other by setting the next stage: after becoming Aware and Accepting that something around us is not going well, we will move on to a third A, that of Acting. At the next appointment (in Calabria, in February), in fact, we will respond to some operative necessities of Goel, a group we got to know in the first meeting, which is another incredible case of a courageous and generative economy!